I just wanted to point folks to an interview in US News & World Report with the USGS scientist-in-charge of the Yellowstone Volcano Observatory, Dr. Jacob Lowenstern. 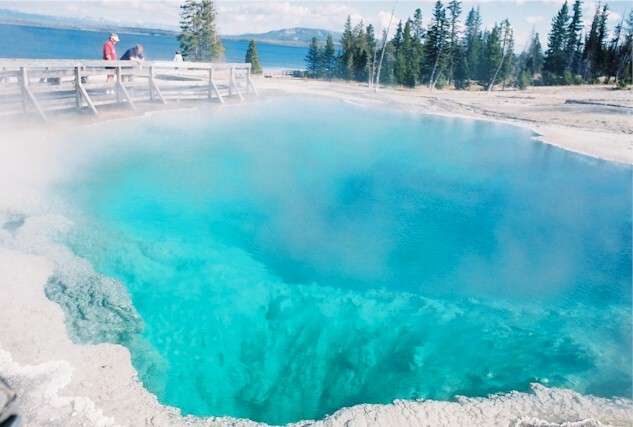 He plays down the swarm, noting that things like this happened in the 1980s and that Yellowstone has seen over 80 eruptions in the caldera since the last “supervolcano” eruption 640,000 years ago. I know Dr. Lowenstern pretty well, and even at AGU when I talked to him (before the swarm), he seemed to play down the huffing and puffing the caldera experiences on a yearly basis. It would take much more activity to get the YVO folks concerned about a potential new eruptive period. I just got back from a 4 day field trip to the Long Valley Caldera in eastern California, so I’m a little behind on posting. The field trip was great and I had a chance to see a lot of pumice, a lot of welded tuff (in the form of the Bishop Tuff, the large ignimbrite that erupted from the Long Valley Caldera ~760,000 years ago) and got to lead the part that looked at the Mono domes (too bad snow covered the Inyo Domes). 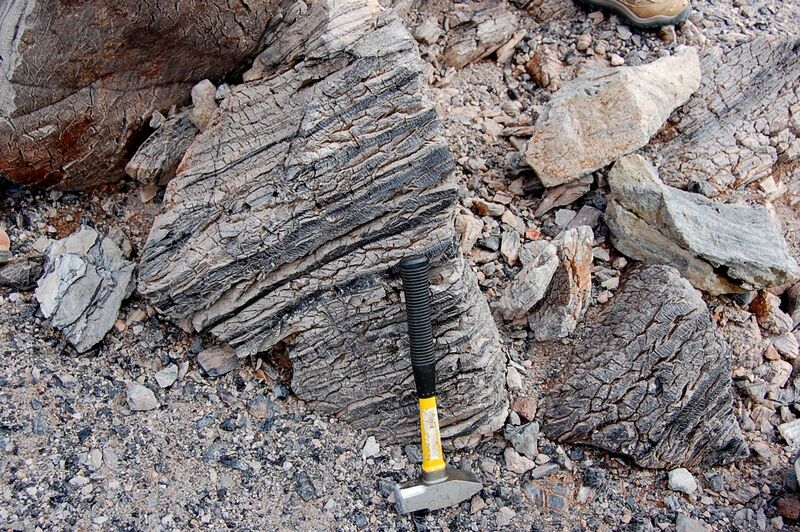 Pictured above some puffed obsidian – the layers are obsidian and vesicle-rich obsidian – that were erupted, cooled, expanded and cracked (known as “breadcrusting“). This is part of Panum Crater, the youngest of the Mono domes that comes in at ~600-650 years old. CORRECTED: Erta Ale(?) erupts … and more? In one of the most oddly worded articles I’ve seen from the BBC, a lava flow from Erta Ale an unidentified volcano in the Erte Ale range in Ethiopia has erupted a significant amount of lava. The headline states “Ethiopia volcano sets lava record”, which is strange on multiple counts, but mostly because I’m not familiar with any “lava records”, who might keep track of them and what, exactly, this “lava record” is. In fact, they don’t even mention it in the article itself. They do, however, point out that lava from this eruption has covered 300 square kilometers, which is a decent chunk of real estate, but no mention is made of how long it took to do this (or what type of lava, for that matter, but it is likely basalt). So, take this article as you will. The take home message is that Erte Ale a volcano in the Erta Ale range, near Alu, has had a significant eruption with some associated earthquakes to go along with it. Erta Ale is located on the East African Rift in Ethiopia – part of the Erte Ale Range – and is a fairly active shield volcano that erupts basaltic lava flows from both the central vent and from fissues, along with sometimes have a lava lake in the main caldera. These eruptions aren’t too much of a danger to the people who live near the volcano as it mostly issues lava flows rather than erupting explosively. It hasn’t erupted since 1967 according to the GVP, however, the volcano did erupt in 2005 (see above), displacing thousands of people. onset time of 1400-1600 UT on November 3. Sorry about the dearth of posts. It has been a busy week here in Davis and I’ve been a little distracted by the upcoming election. Combined with the relative lack of volcano news this week, the posting has been lackluster. However, that being said, I will try to make up for some of it by starting my Volcano Profiles series that will bide the time between volcano news. 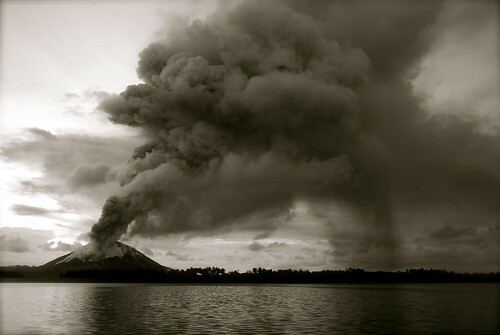 I start with a volcano that was suggested by Eruptions reader Thomas Donlon: Rabaul. Geophysical location: Boundary of Australian plate and Pacific plate, where the Pacific plate is subducting under the Australia (note: very simplified as there are a number of microplates involved as well). Summary: Rabaul is an 8×14 km caldera that has been partially filled by the sea, but multiple peripheral vents can been seen along the caldera edges. Likely the caldera seen today was formed 1,400 years ago and there is evidence that an ancestral caldera formed 7,100 years ago. The volcanic system erupts basaltic through dacitic lavas from these vents, producing lava flows and voluminous pyroclastic flows that have caused extensive death and damage to the settlements near the caldera over the last 200 years. The currently active vents are Tavurvur and Vulcan. Current status: The Rabaul caldera is currently in an active cycle which started in 1994, producing ash and steam eruptions, along with lava flows and ash flows from both Tavurvur and Vulcan. 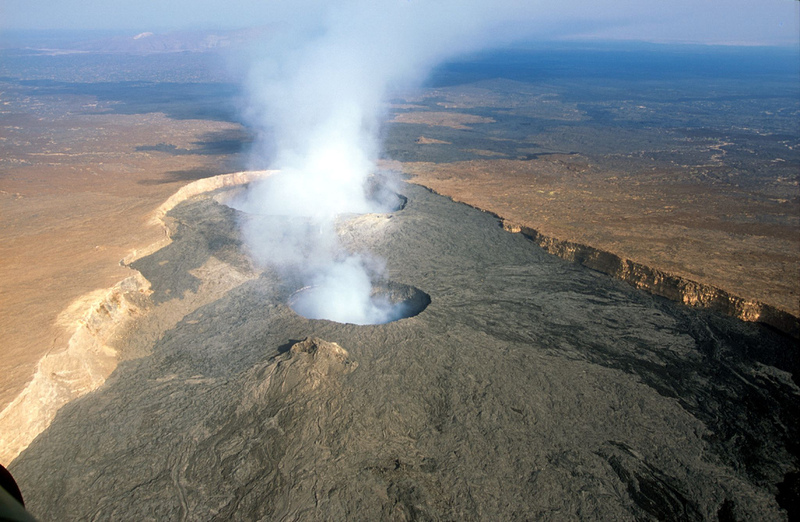 The caldera has been constantly active since 2006, with the most recent activity consisting of earthquake and small, conduit-clearing eruptions from a shallow reservoir. Notable Recent Eruptions: The Rabaul Caldera has had two major eruptions in the past 100 years and they are stark contrasts in terms of hazard mitigation and evacuation. The eruptions from Vulcan and Tavurvur in 1937 killed more than 500 people while blanketing the countryside in ash. It also produced a tsunami that washed boats onshore. This eruption is thought to have been roughly a VEI 4. Vulcan and Tavurvur followed up this eruption with another VEI ~4 in 1994, but thanks to excellent planning, evacuating practice and an organized response, the death toll to this eruption was a mere 5 (an excellent summary of this evacuation was presented on an episode of NOVA). 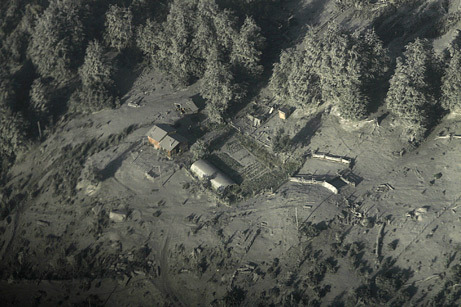 This eruption produced ash fall and pyroclastic flows from at least 5 vents along the caldera and the ash fall effects were amplified by heavy rain (likely caused by the eruption itself). Some of this ash was in excess of 7 feet and destroyed 80% of the structures in the town of Rabaul. Interestingly, the only real signs of a potential eruption at the Rabaul Caldera before 1994 was significant surface uplift in the caldera in the mid-1980s, followed by quiescence until the 1994 eruption.